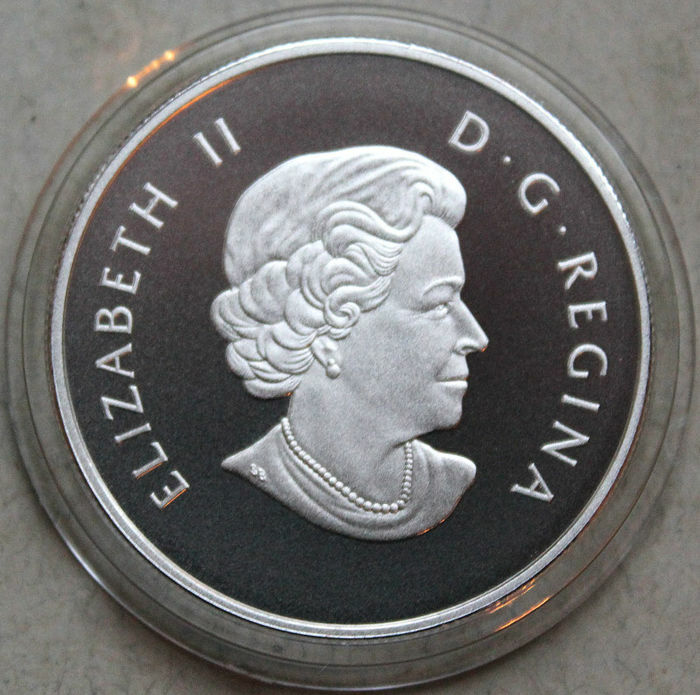 This coin is part of the Royal Canadian Mint’s beloved O Canada series, a collection of coins that boast depictions of iconic Canadian imagery. 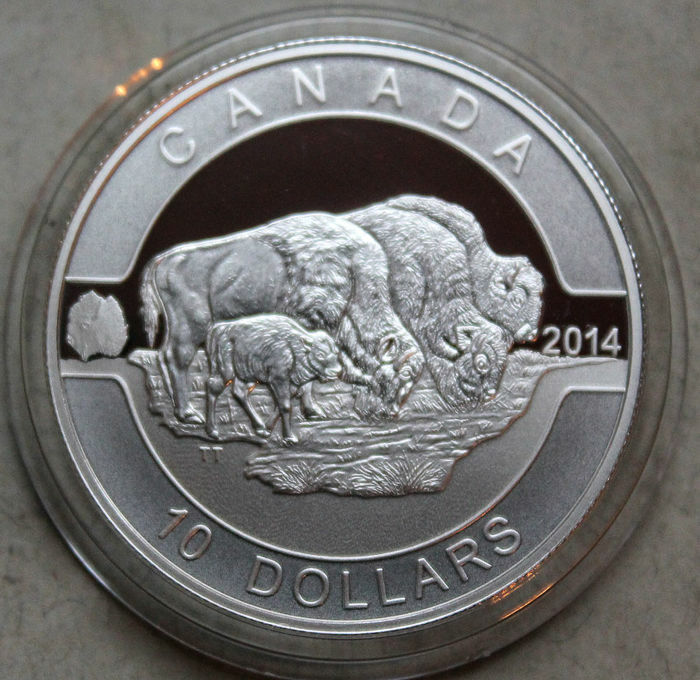 This coin, made out of a half-ounce of 99.99% pure silver and featuring a face value of $5 esteems the calm and deliberate wood bison. 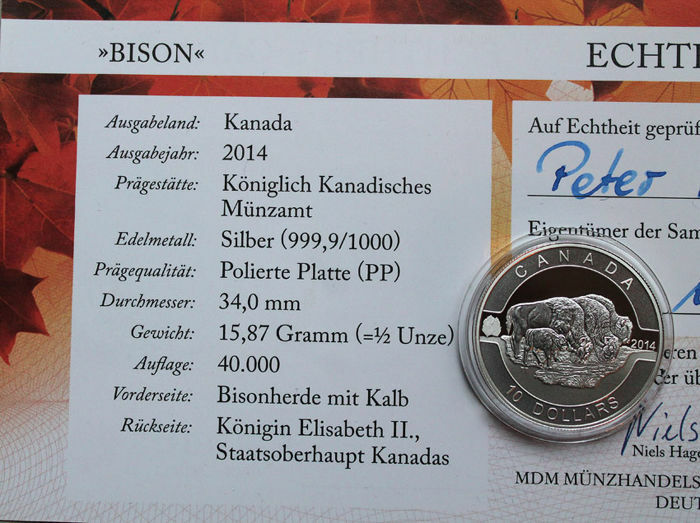 The illustration on this piece features a portrait of a grazing bison family, made more special with a variety of engraving techniques that bring the soft fur of the bison to life. This endangered mammal (the largest in North America) has experienced a tumultuous past, and could be considered symbolic of the relationship between early settlers and indigenous communities.